Regarding Shiloh Baptist, I don’t find anything in the file that will of value to you. I do know a little oral history, which I can pass on. 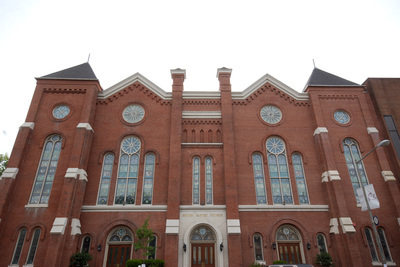 Mr. Theodore Lewis, one of the founders of our firm, told me that the church building at 9th & P NW was originally built as Hamline Methodist Episcopal Church, South, and he was a member of that church. In the early 1920’s they moved to the suburbs at 4501 Sixteenth St. NW, where in 1925 they purchased E.M Skinner’s Opus 534. When E.M. Skinner founded his firm, Mr. Hitchcock was the factory foreman. Mr. Lewis was a voicer. They broke away in 1915 to found the firm here in DC, and then became the Skinner representatives in the area. Anyway, the old building had originally contained a tracker, but in the early 1900’s they purchased a Tellers-Kent organ, which may have contained pipework of the earlier tracker. 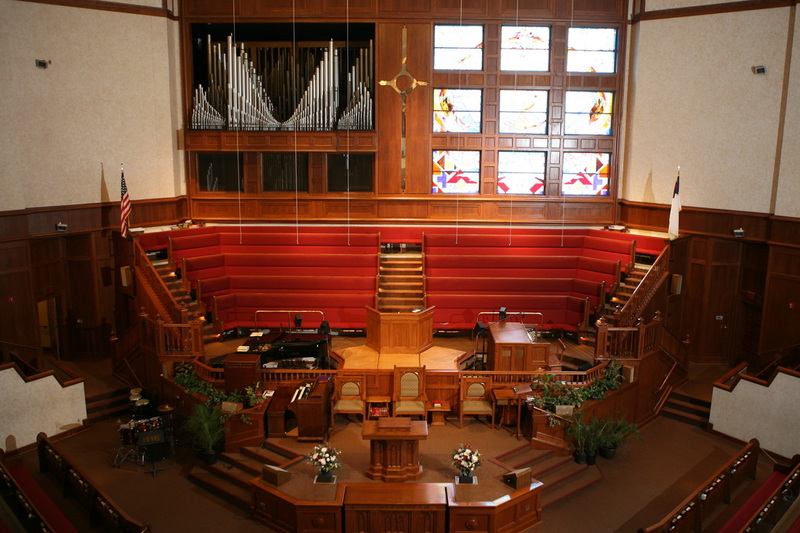 When Shiloh purchased the old building, L&H continued to service the organ. It was repaired in 1952, but continued to decline until the decision was made in the early 1960’s to get rid of it and purchase the Casavant. The Tellers Kent was in an imposing case at the front of the church, and included a four-stop Echo division in the ceiling of the rear balcony. The Tellers-Kent was in such poor condition that most of it was junked. Some of the older guys here that have since passed on told me that a lot of the organ went out a third floor window to the parking lot below, and they tried to see who could make the biggest puddle out of soft string pipes like the Aeoline, when they hit the pavement. The metal pipes were mostly melted down for pipe metal. The Casavant was front and center of the building, which had a wrap-around gallery. It was very typical of the Lawrence Phelps designs of the time. The Great was in the center, 2’, 4’, 8’, then the rest of the pipes behind that. The pedal was divided on each side, and they put the mixture in the front, then the 4’ and 8’, with the rest behind. The result was that the Pedal mixture was the most prominent stop in the organ. Thus when playing Bach, the pedal part stuck out. The reeds were very Germanic and difficult to keep in tune, and most were made of the light European zinc that would melt in the hot weather, so the 16’ pipes ended up looking like serpents. This was common to all builders of the period; the company producing the zinc for the trade had changed the composition of the metal. When Lewis & Hitchcock purchased Newcomer Organ Company in 1983 there was a split in the employees of NOC, and a lot of service contracts traded hands, among them Shiloh. So we were not maintaining the organ when there was a fire in the blower room that damaged the organ and church. The church decided that they needed more room anyway, so instead of restoring the building, they took out the right wall and more than doubled the size of the sanctuary. The organ went back to Casavant, and was rebuilt to the specification of 9/7/94. All of the previous irritations were corrected, new zinc basses, reeds changed to be less Germanic, new pipes in some places, etc. And though the organ was reinstalled in exactly the same position as before, which had been the center axis line of the building, it is now on the left side at the front of the expanded sanctuary, and in some ways is heard much better now. And since the reinstallation, the prepared stops have been added. 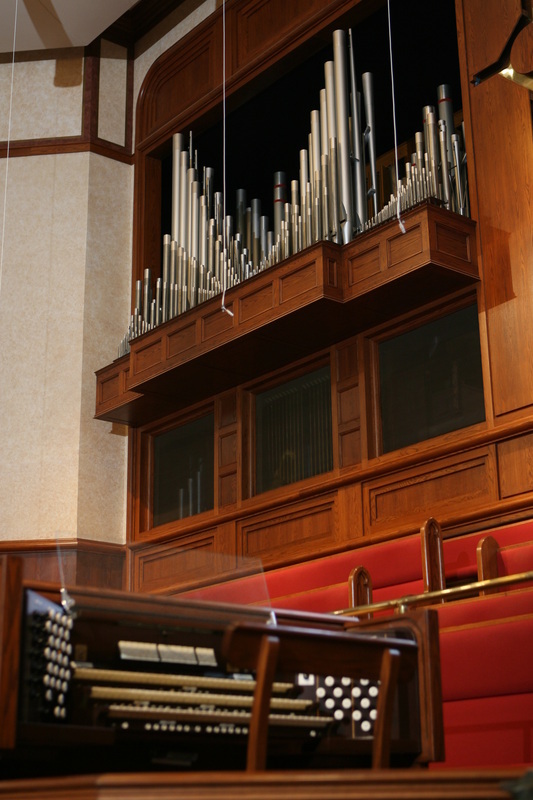 The organ is much more flexible and useful to the church, and they are quite proud of it.